Amazon listed Virginia Tech's $1 billion investment to build an "innovation campus" aimed at bringing in more graduate students in tech-focused fields of study. So what is all that money going to build? WASHINGTON — Amazon listed Virginia Tech’s $1 billion investment to build an “innovation campus” in Alexandria as a major factor in its decision to bring half of its second headquarters to Northern Virginia. So what is all that money going to build? According to the university, the new million-square-foot campus is designed to draw in graduate and undergraduate students for computer science, computer engineering, software engineering and related studies — exactly the kinds of talent pools that Amazon has been looking for to staff its new headquarters. Funding for the project is expected to come largely from fundraising at Virginia Tech, but Virginia has also pledged $250 million to help with development. 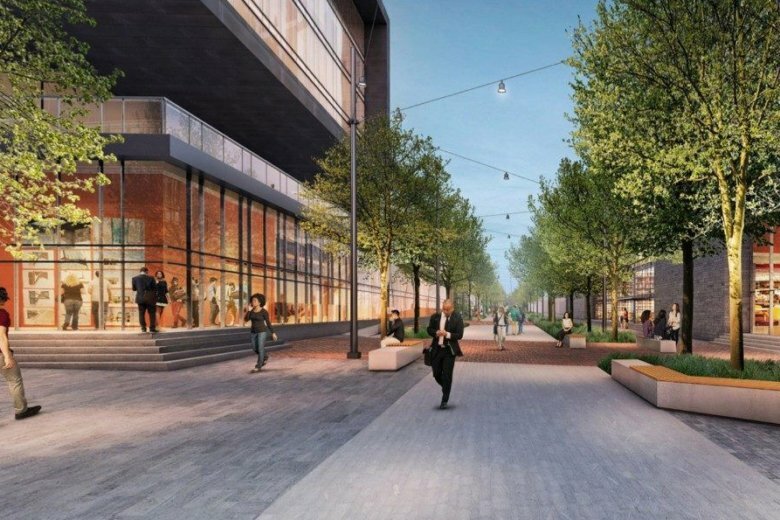 The campus will be built on the Alexandria side of the newly minted National Landing, in an area referred to as Oakville Triangle. This would put it just a few miles from where Amazon will be building its second headquarters. The lion’s share of real estate at the new campus will be designated for academics, research and development projects and student housing. There will also be room for business partners and startups to set up shop, along with retail areas. At an announcement conference on Tuesday, Virginia Tech President Dr. Tim Sands said that the new campus will help to secure Virginia’s roll as a leader in global innovation. Sands said that Amazon’s interest in Northern Virginia as a potential spot for its HQ2 acted as a major catalyst to take the Innovation Campus from dream to reality. Julia Ross, the Dean of Engineering at Virginia Tech, told WTOP that the focus of the Innovation Campus will be on attracting graduate students of technology and science disciplines to the school. She also said the campus will help bring together academia, business and government to work on innovations in the area. Stephanie Landrum, the president and CEO of the Alexandria Economic Development Partnership, has been working with leaders in Arlington and Virginia Governor Ralph Northam to put together a package that would lure Amazon to the area. Landrum — who took the stage at the announcement conference to a rock star’s welcome — said that for the purpose of incentivizing Amazon, the Innovation Campus was a gift that was dropped into their laps. She said that the announcement of Virginia Tech’s partnership with Alexandria represents a major moment for the future of Northern Virginia’s economy. “I really think we’re going to look back at today’s announcement — this campus — certainly for the future of Alexandria, this being the monumental announcement,” Landrum said.